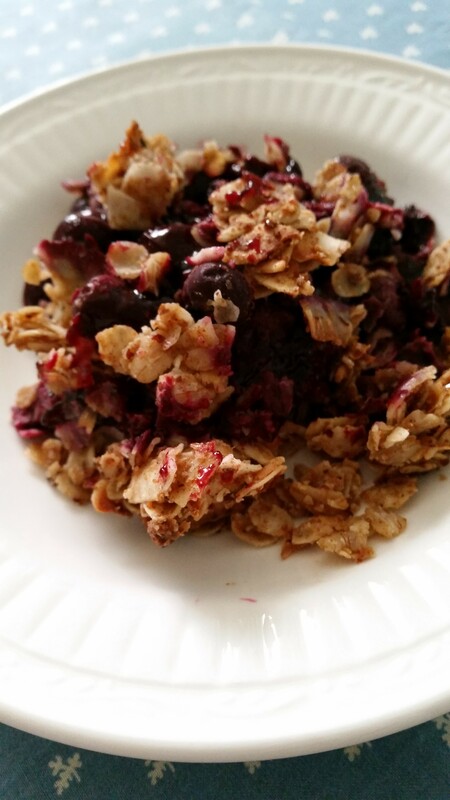 Blueberry Coconut Crisp…gluten-free and oh, so good! 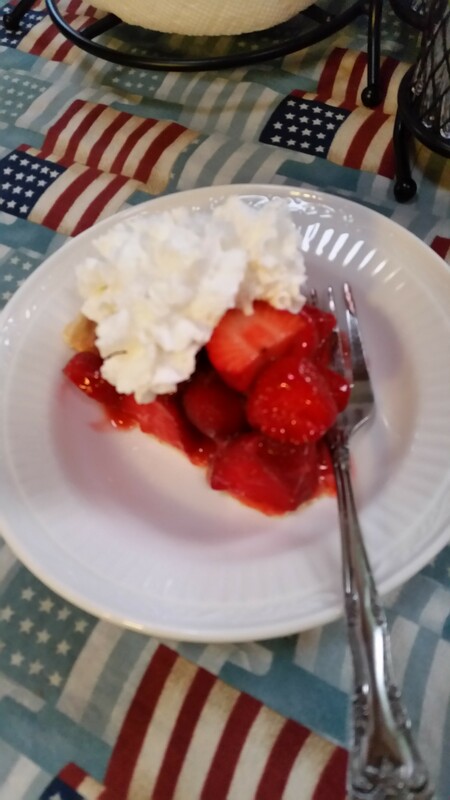 Every 4th of July brings new blueberry recipes to my collection. This one is a keeper for sure! 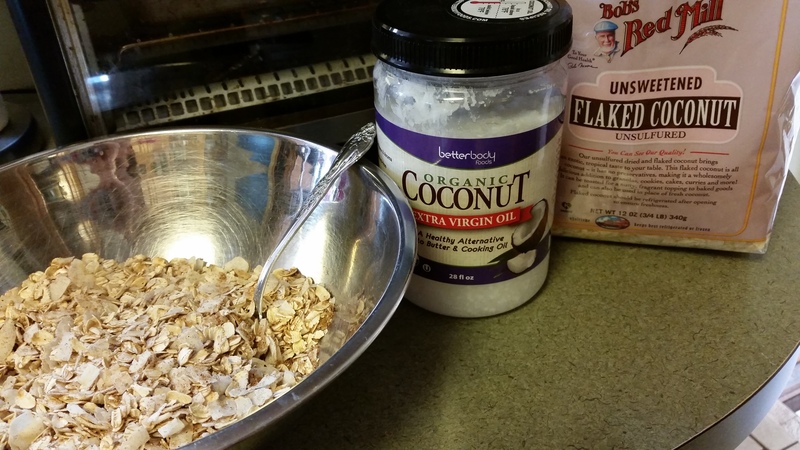 I’ve even had some “coconut haters” try it and come over to the “coconut lovers” (okay, “likers”) side! 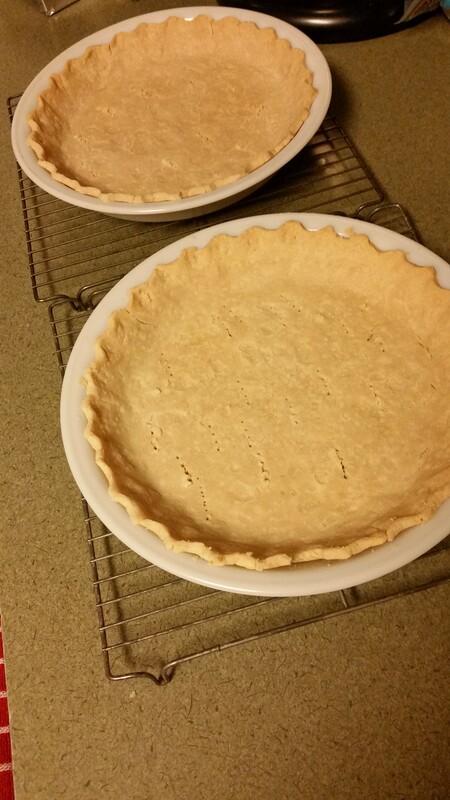 I adapted this recipe from Two Peas and Their Pod (thank you!). 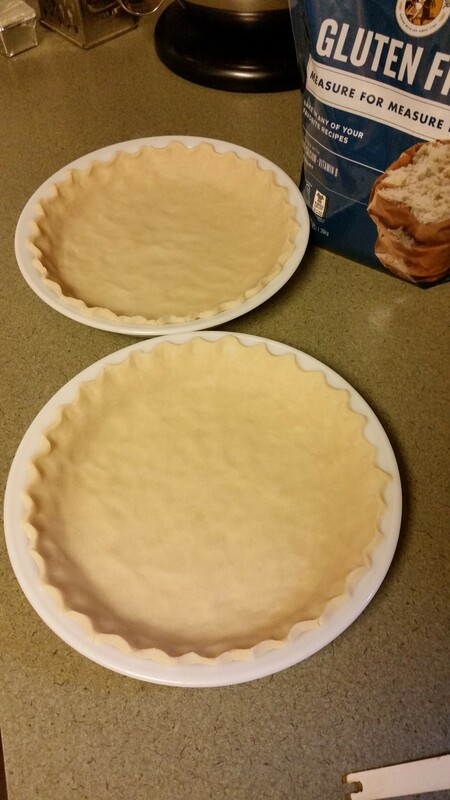 Preheat oven to 350 degrees F. Spray a 9 x 9-inch baking dish with cooking spray. 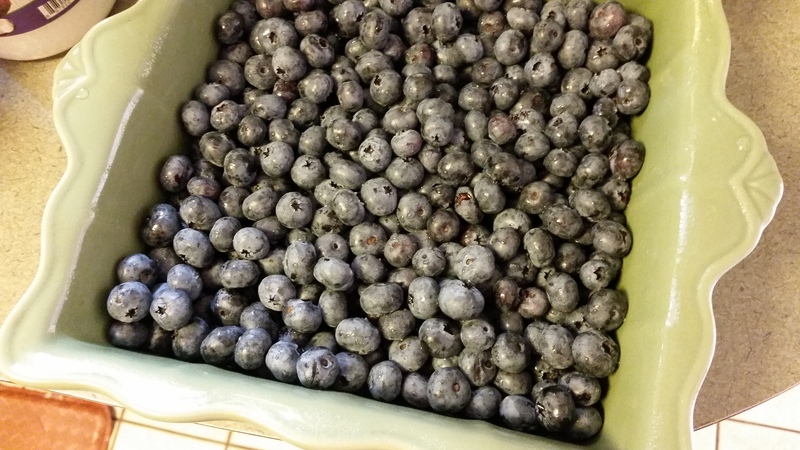 Pour blueberries into dish and pour lemon juice over the berries. Add a dash of cinnamon. Gently toss. 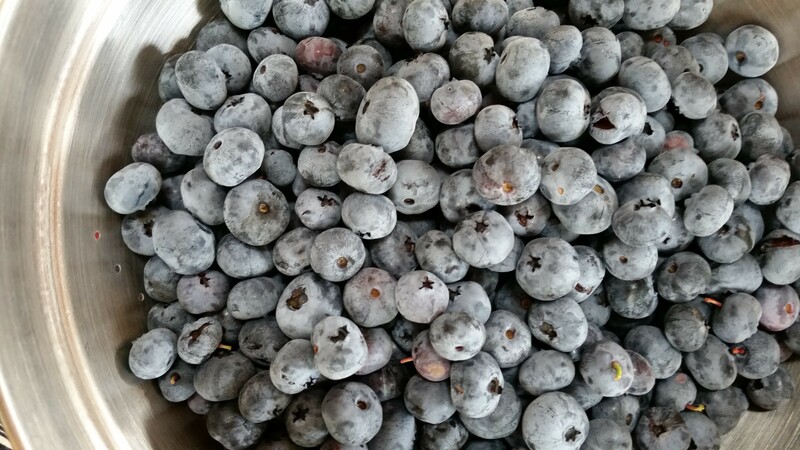 A huge THANK YOU to my niece, Alicia, for letting us pick these beauties from her blueberry trees! Honestly….TREES! Never have seen anything like them! 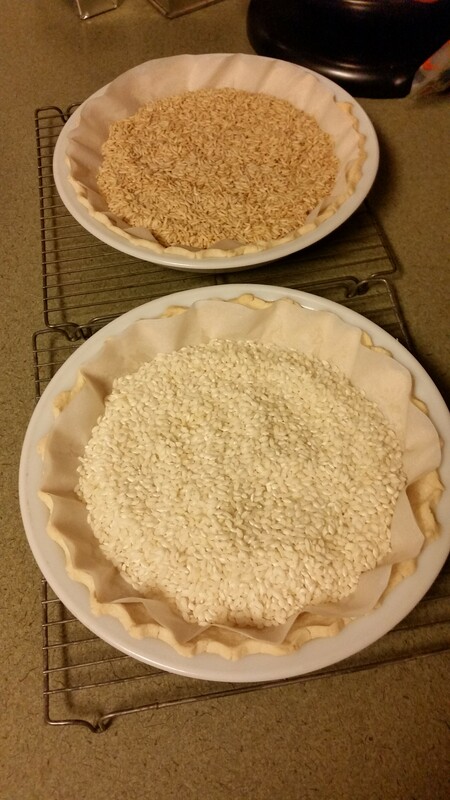 In a medium bowl, combine oats, flour or almond meal, coconut, brown sugar, salt, and cinnamon. 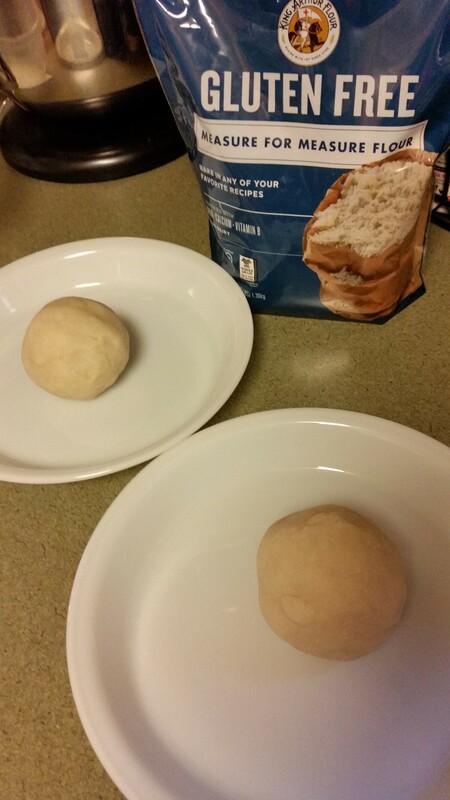 Pour coconut oil over the dry ingredients and stir until combined. 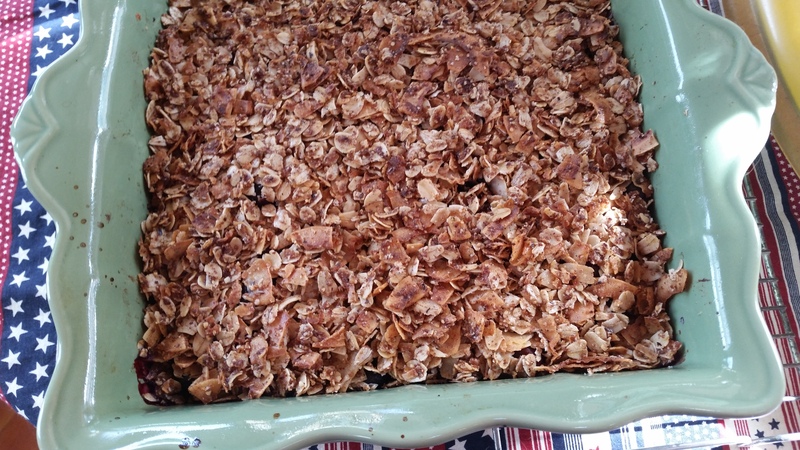 Sprinkle the oat mixture evenly over the blueberries in the pan. 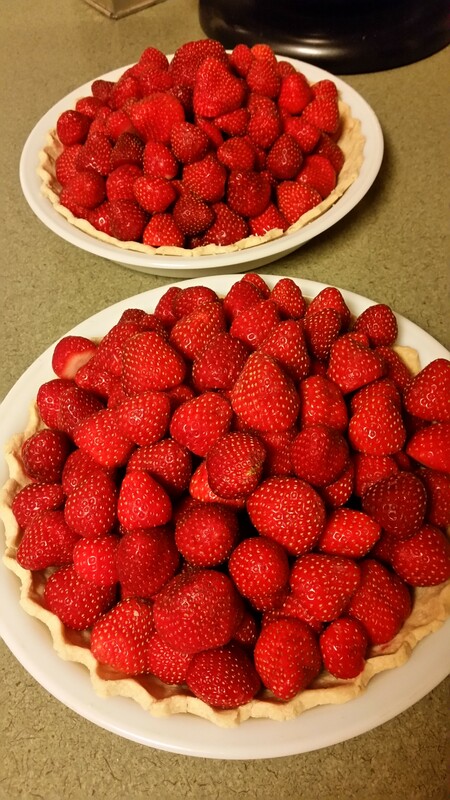 Bake the crisp for 35 minutes, or until the topping is golden brown and the fruit is bubbling. 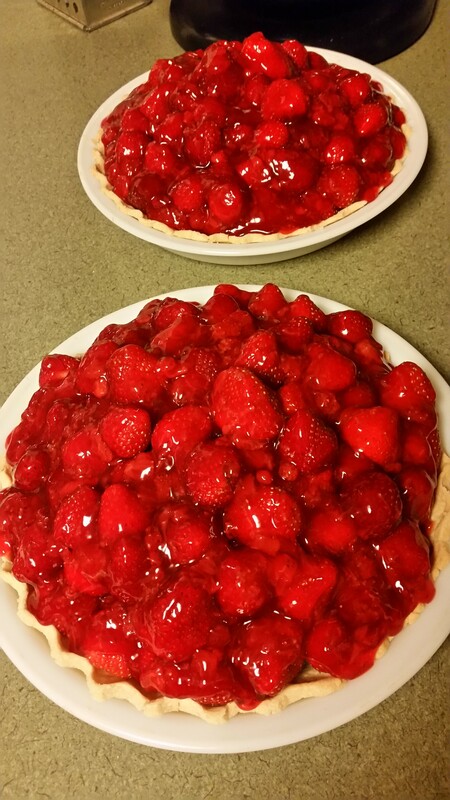 Serve warm with ice cream or yogurt, if desired. it can be stored in the refrigerator for up to 2 days! Give it a try…you won’t be sorry! A gadget that really works! 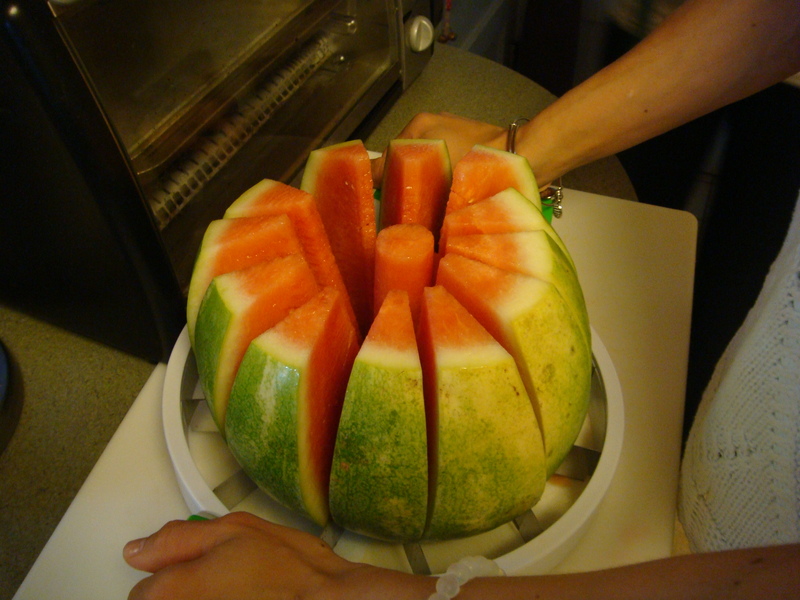 Cutting watermelon into equal pieces can be hard sometimes! How big of a knife do you really need? Here’s an answer for you! 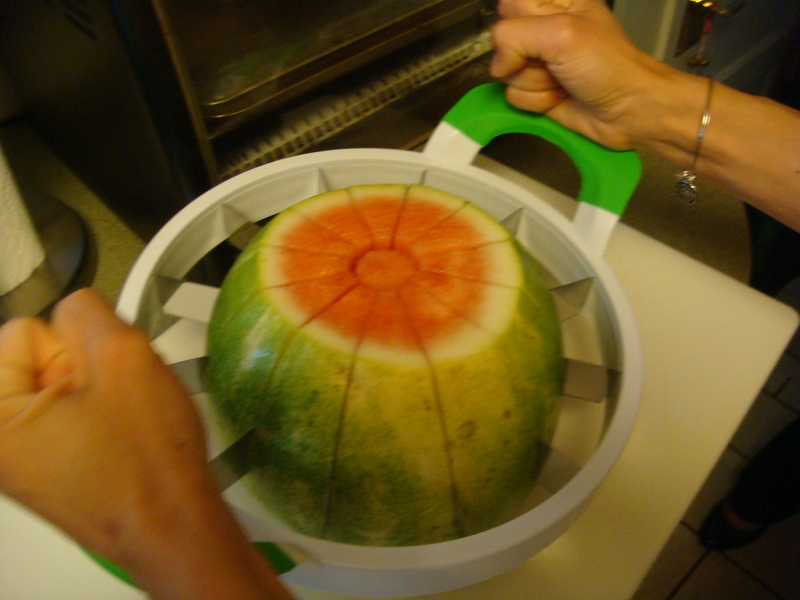 This handy device with easy grip handles ensures a perfect slice of watermelon every time….no kidding! 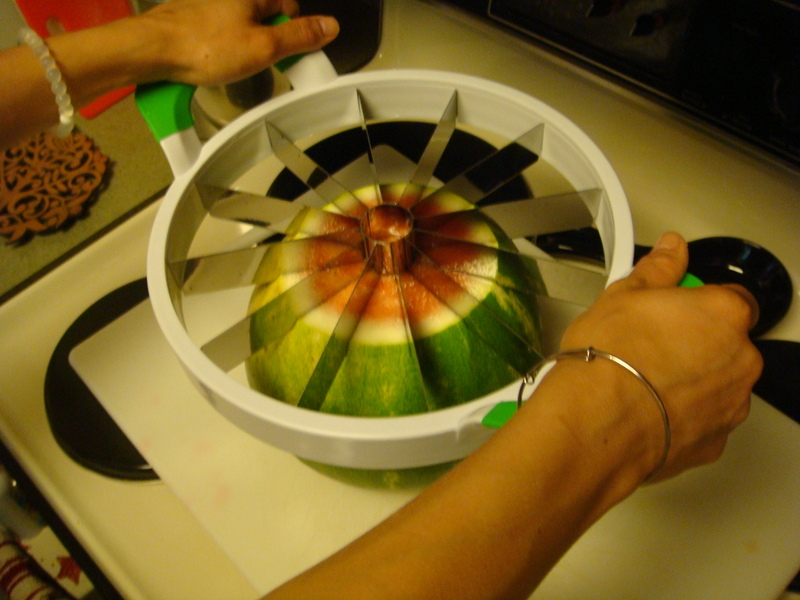 It has stainless steel blades and can slice watermelons, pineapples, cantaloupes, and honeydews up to 11” in diameter. Its easy motion cuts and cores 12 slices every time! 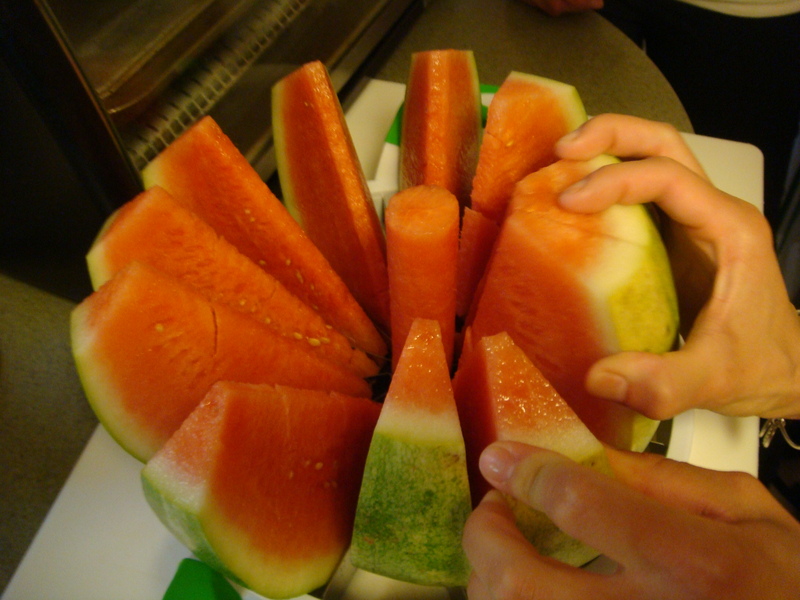 The only “problem” is….who gets that cool cylinder piece of watermelon in the middle??? We purchased ours at WalMart in New Jersey for $19.99 and have used it all summer. So look for it at your local retailer and if you even get to use it once this weekend for your holiday barbeque….no worries….next year you will be so happy! 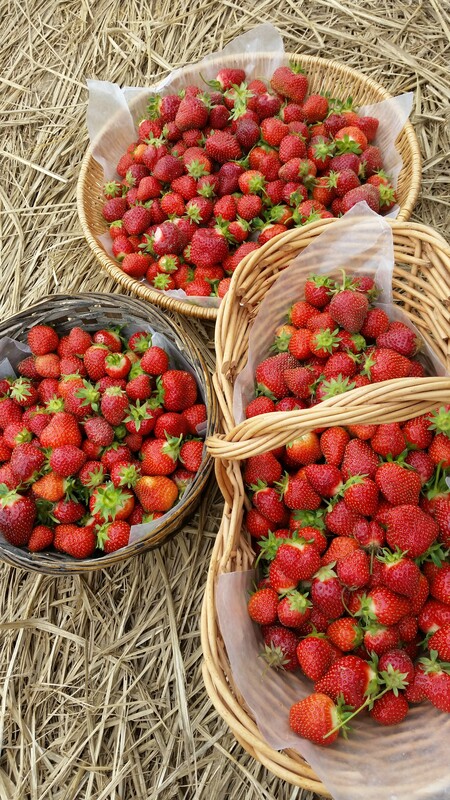 The juicy taste of summer! How happy was I when I spotted this lovely little fruit at the farmers’ market the other day? 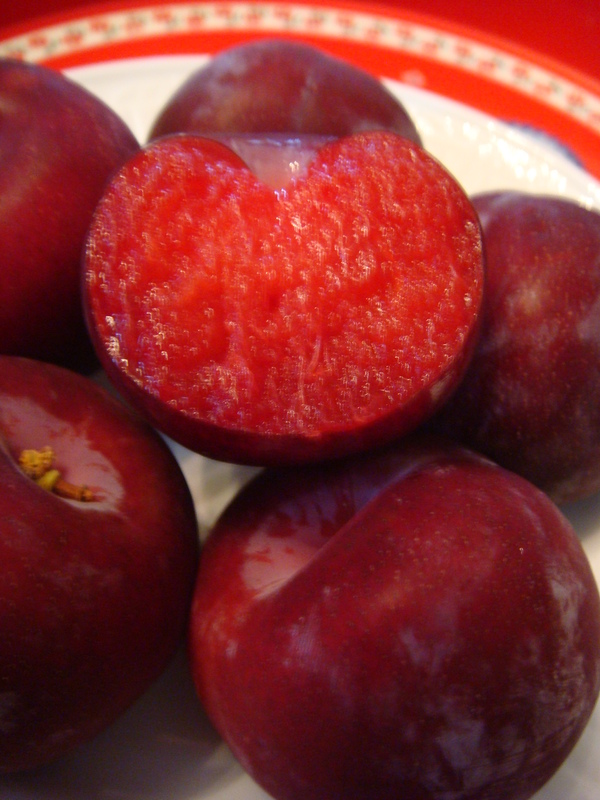 It’s the pluot….a plum/apricot hybrid with a huge flavor! 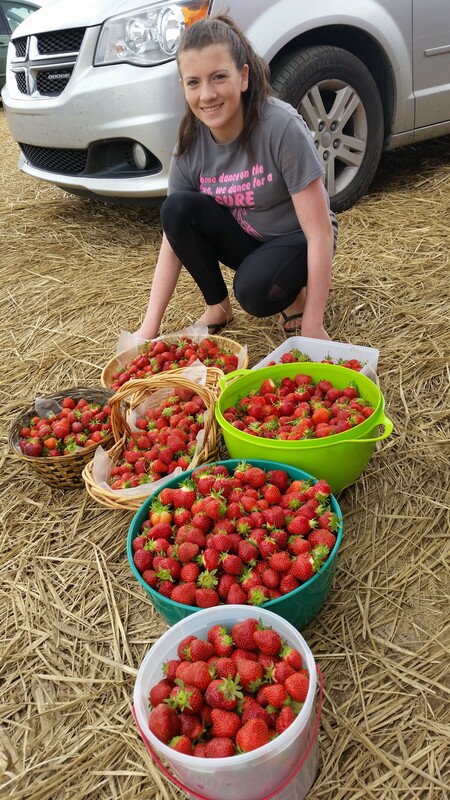 Once these little treasures are picked from the tree, they continue to ripen. So if you turn them upside down on your kitchen counter, somewhere out of direct sunlight, let the magic happen. 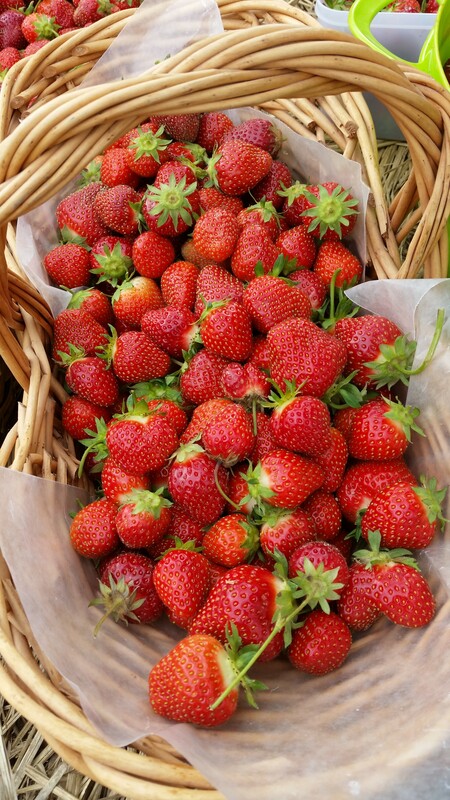 Once they are as ripe as you want them to be, store them unwrapped in your refrigerator for up to three days. 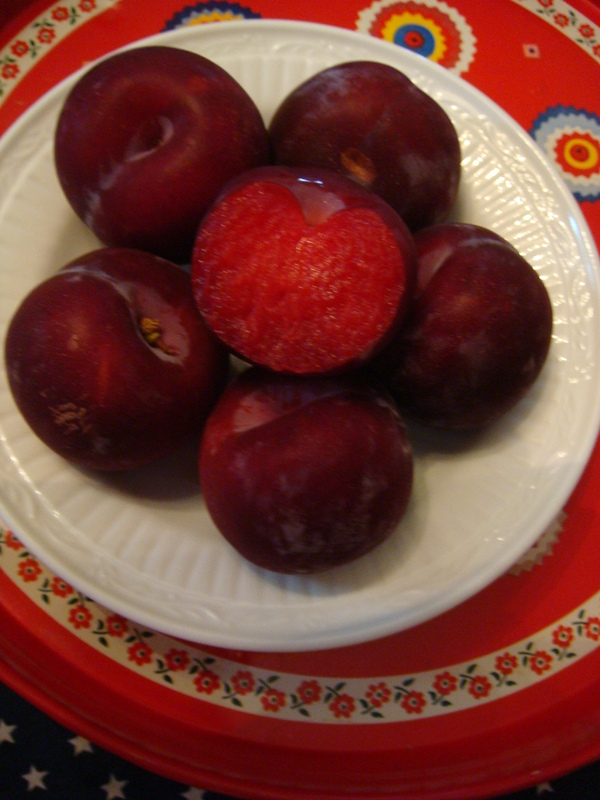 Most people claim that the pluot should be eaten at room temperature, but I prefer mine cold. If you are going to use them in a recipe, however, it is best to have them at room temperature because the skin can taste bitter. 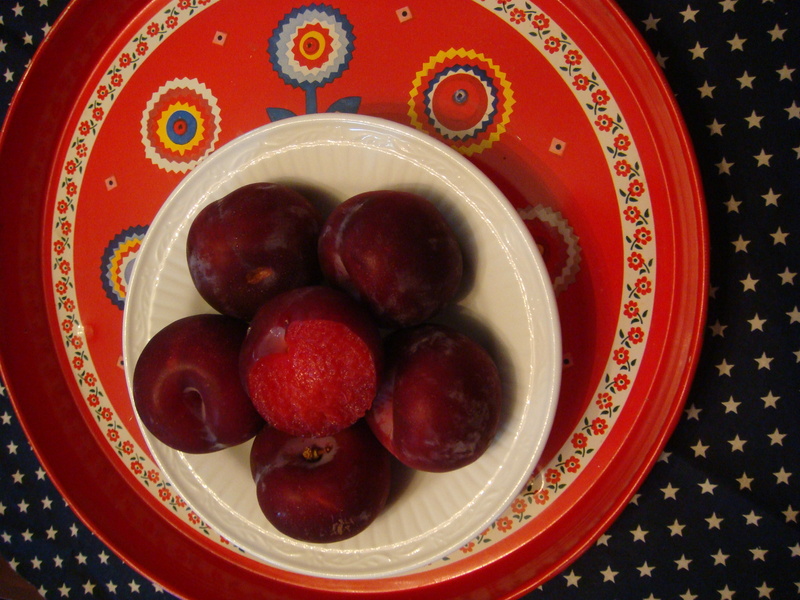 I remember climbing and eating plums from our trees as a little girl….the pluot is the next best thing to that memory! I just can’t wait for summer! This national holiday in Mexico officially commemorates the anniversary of an early victory by Mexican forces over French forces in the Battle of Puebla on May 5, 1862. It is a day of great celebration there! 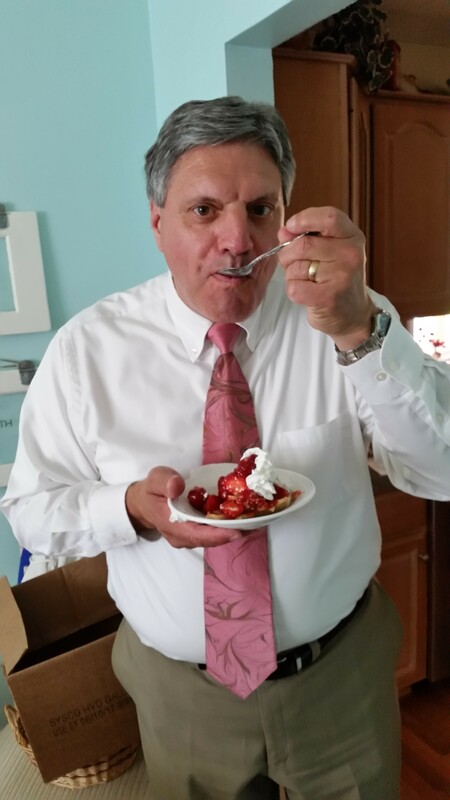 Mexico enjoys a sunny climate and we are dying for great weather here in the Northeast, so today I am celebrating with a mid-morning snack of fresh fruit. Since I only have one arm to work with since my surgery was one week ago, my “honey” (hubby) cut up all of the fruit before he left for his business trip this week. He is a dear! Wow! 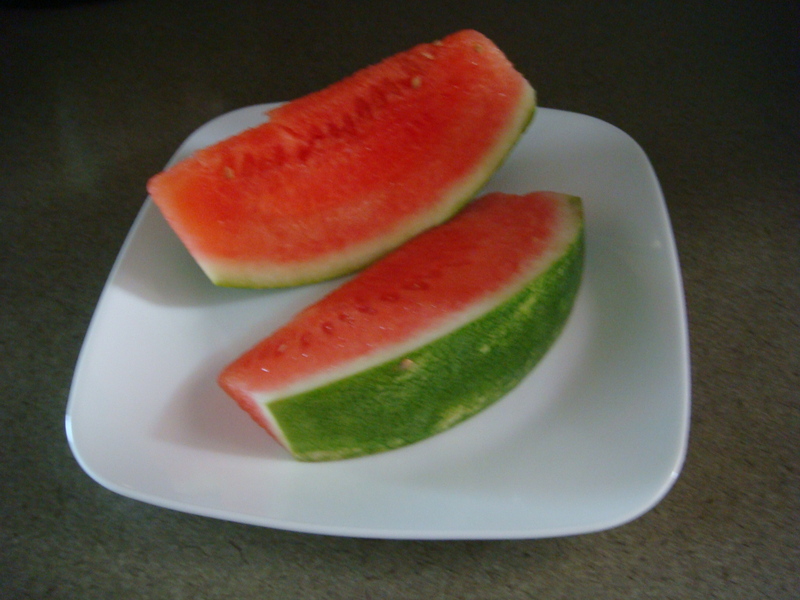 Isn’t this a great snack? 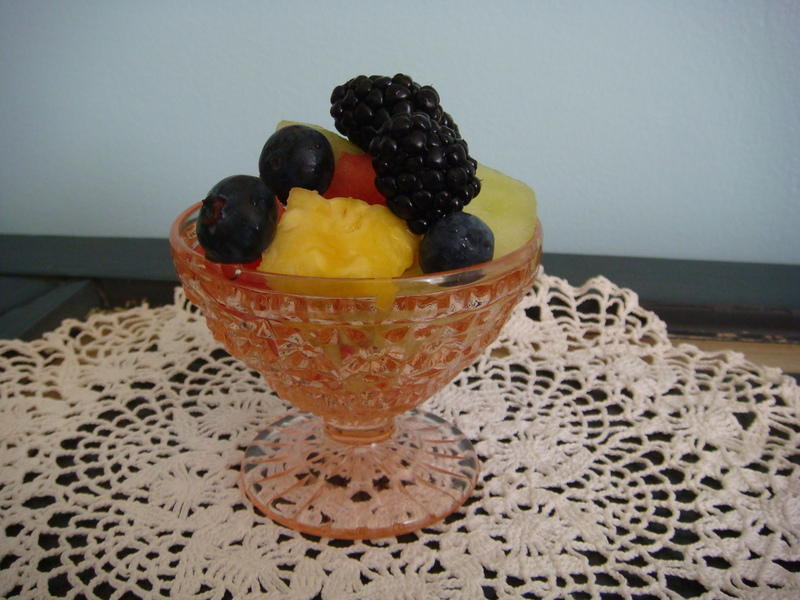 And did I mention I placed all of my delicious fruit in a footed sherbert (sherbet) dessert bowl from the Jeanette Glass Company? It is the “Cubist” design circa 1929-1933 that I purchased from a yard sale! I just love Depression glass and am on the lookout for it all the time! Have a great day! 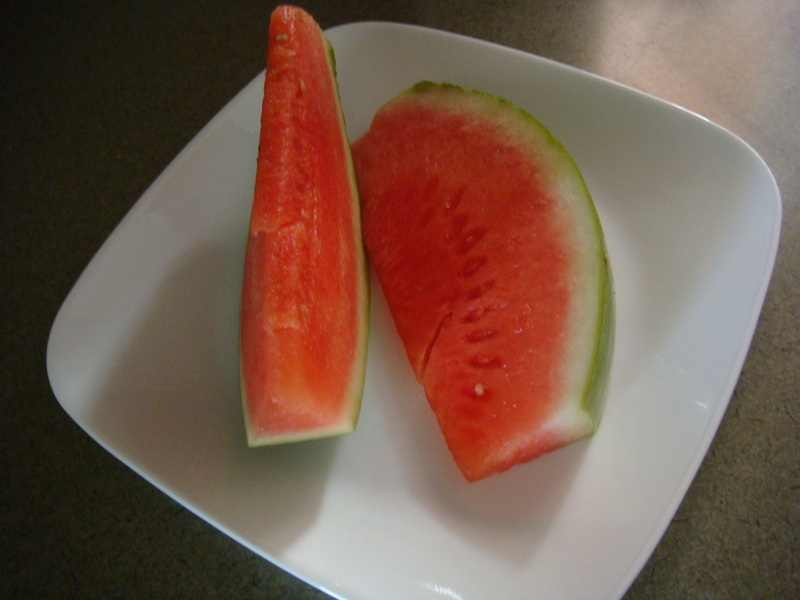 And eat some power-packed fruit!